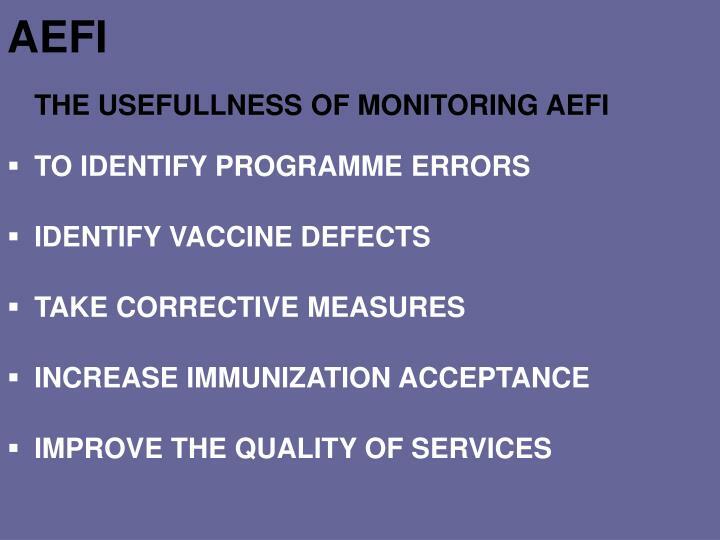 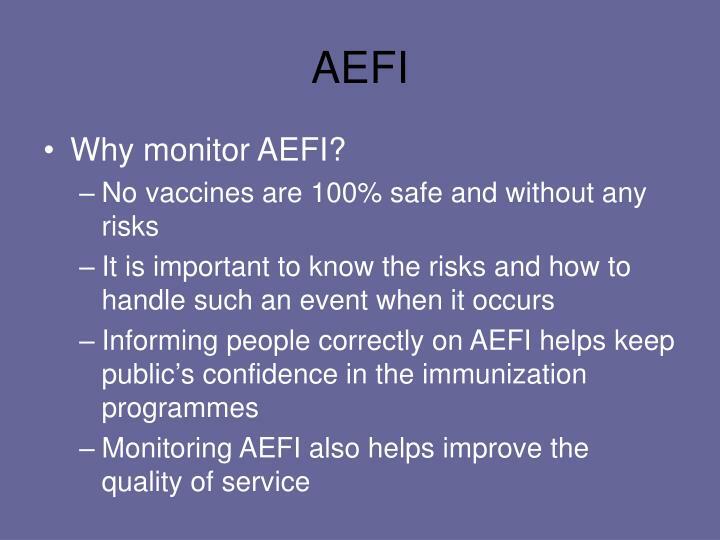 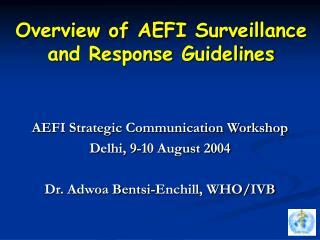 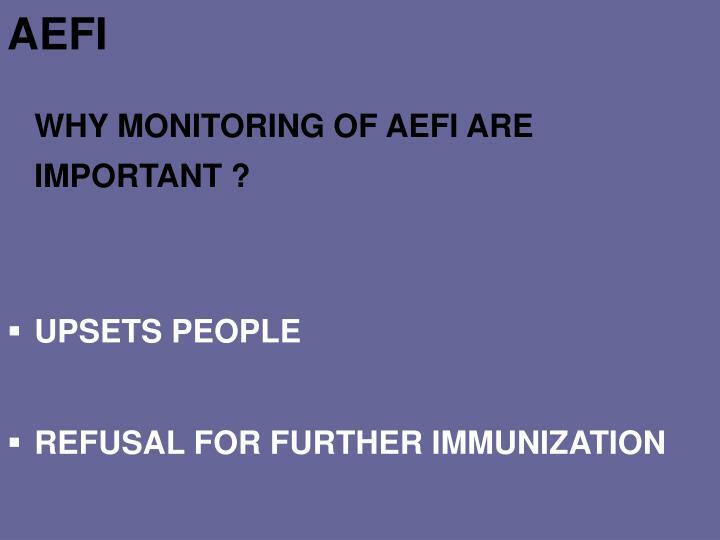 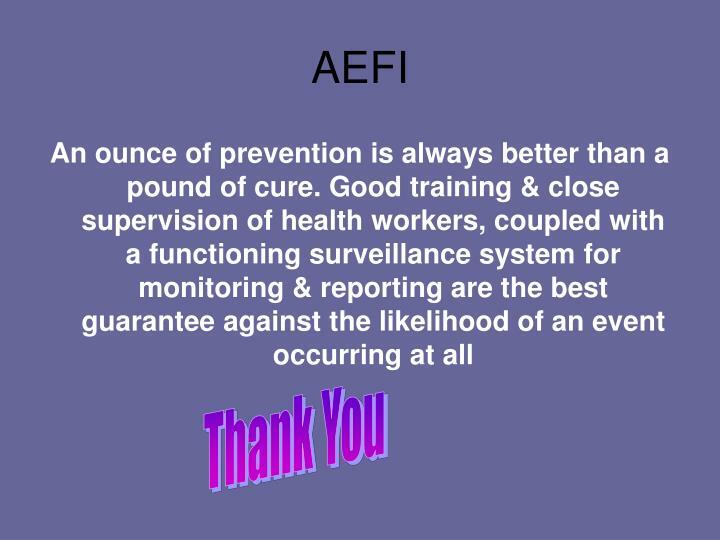 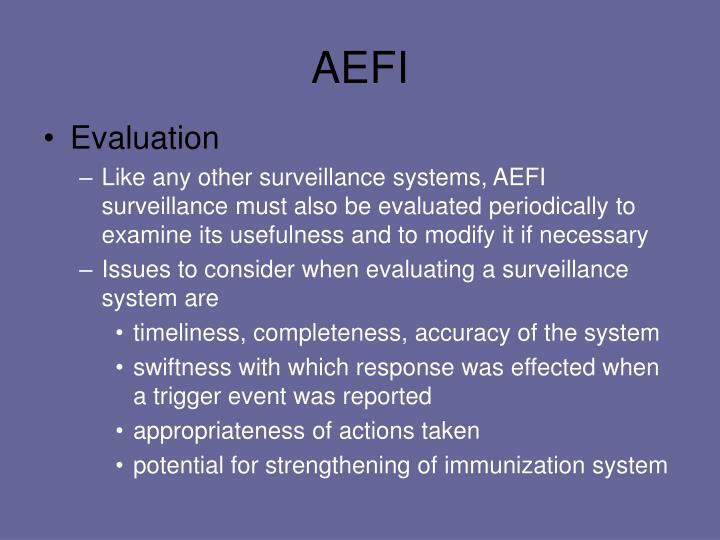 WHY MONITORING OF AEFI ARE IMPORTANT ? 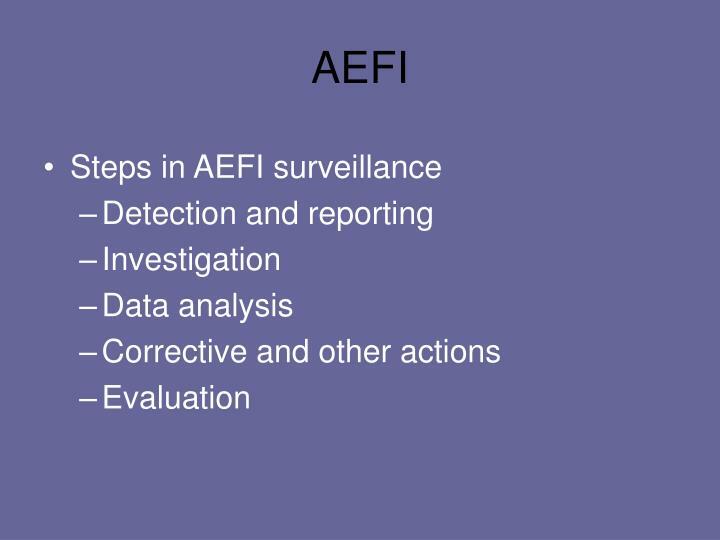 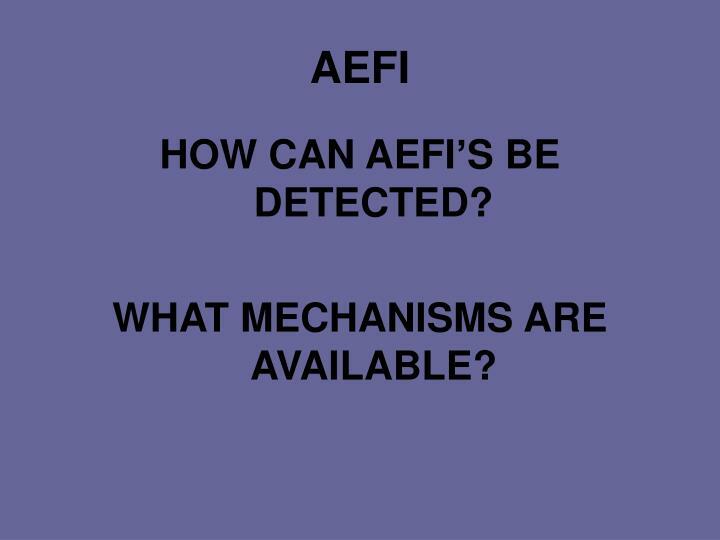 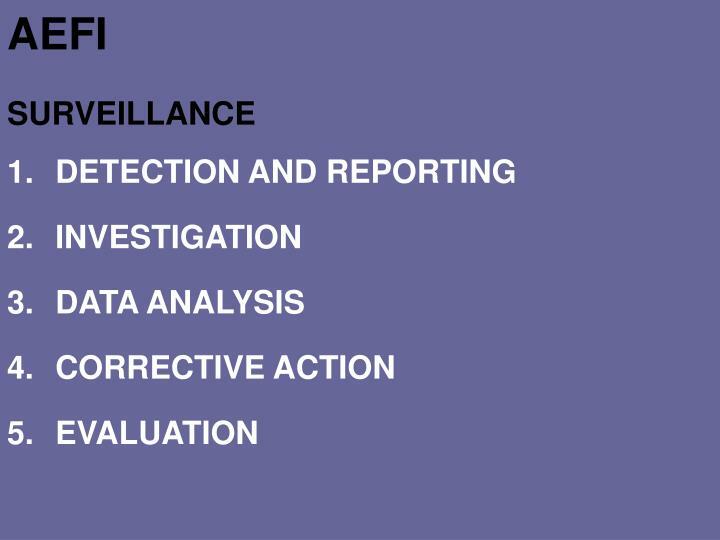 HOW CAN AEFI’S BE DETECTED? 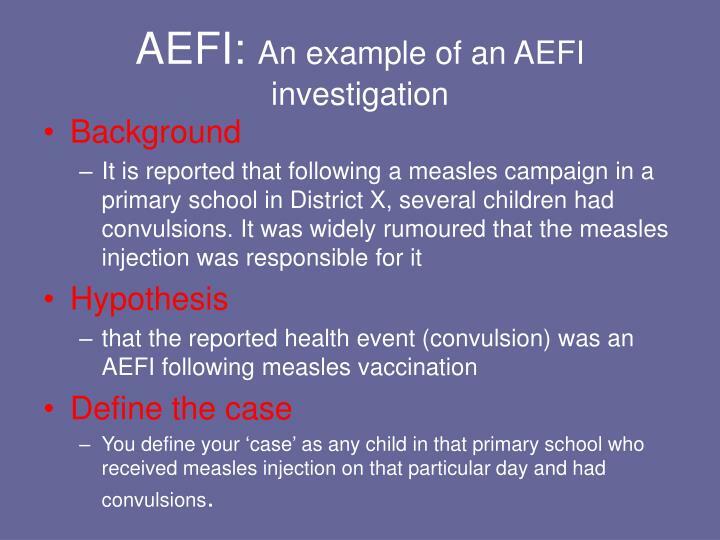 You define your ‘case’ as any child in that primary school who received measles injection on that particular day and had convulsions. 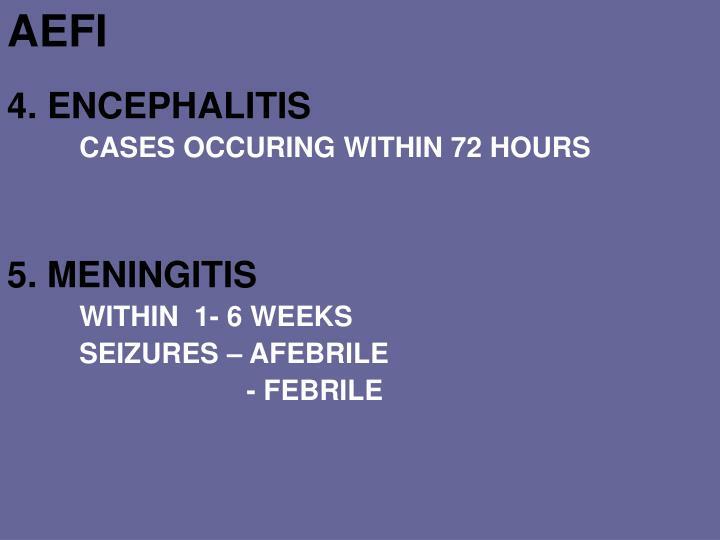 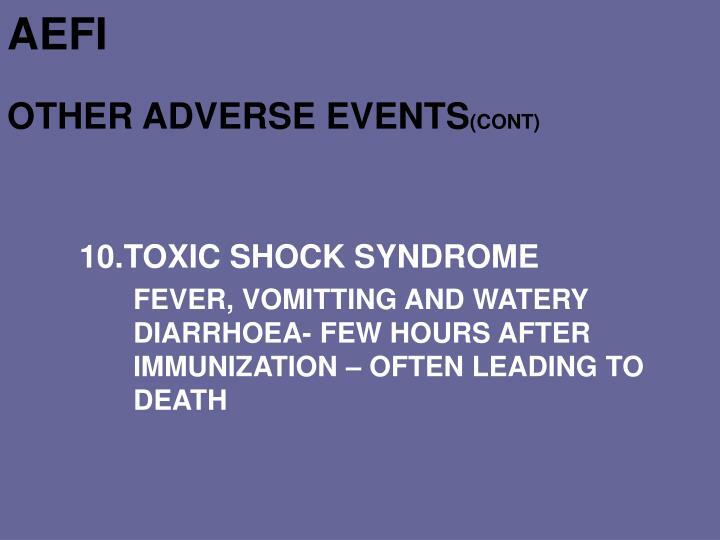 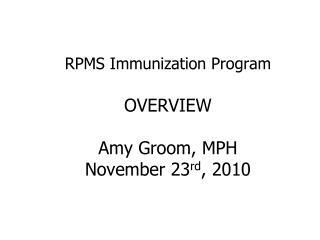 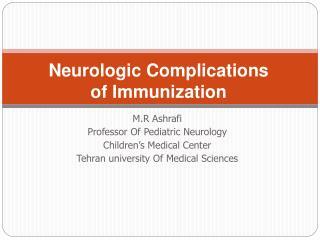 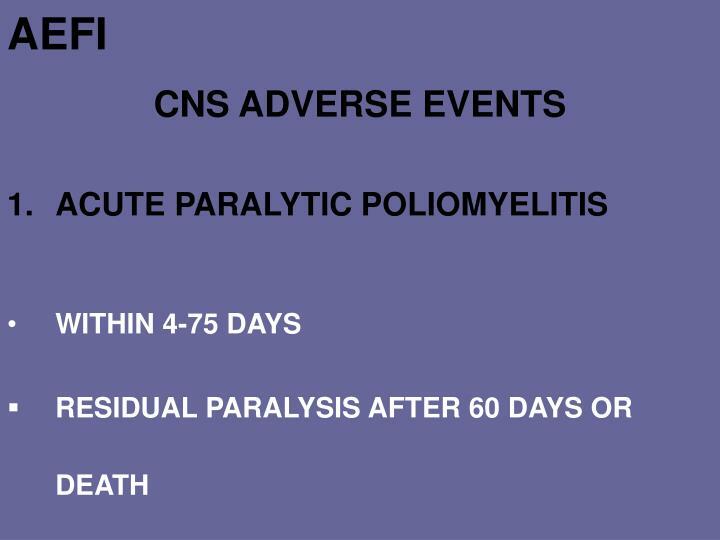 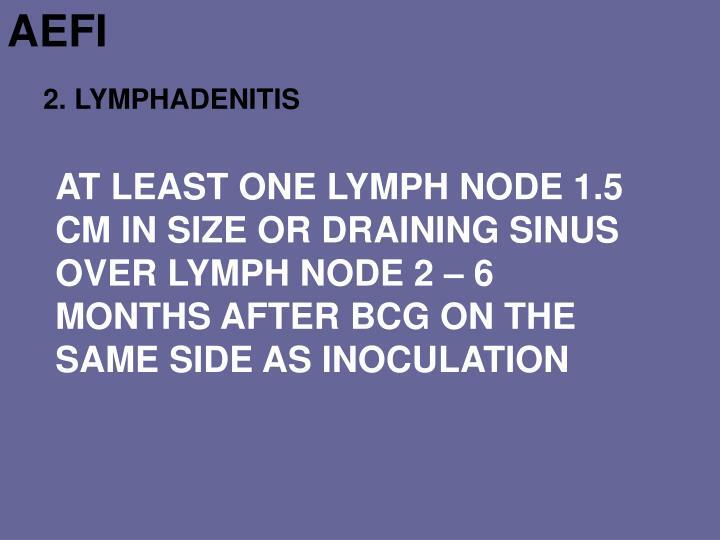 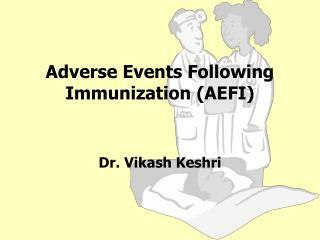 Find out all the details regarding the convulsions- onset time after immunization, manner of convulsion, recovery following the convulsion, concomitant medications, fever, any other health problems. 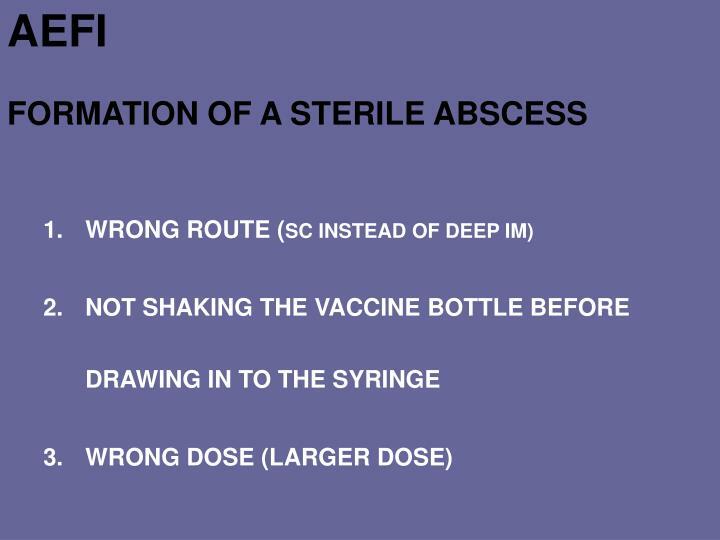 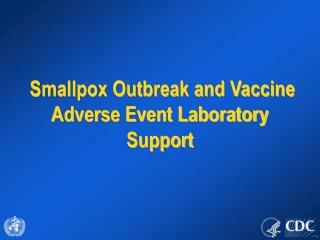 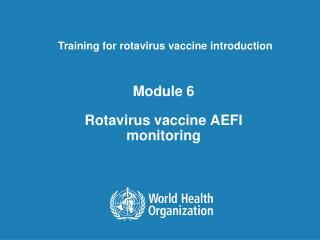 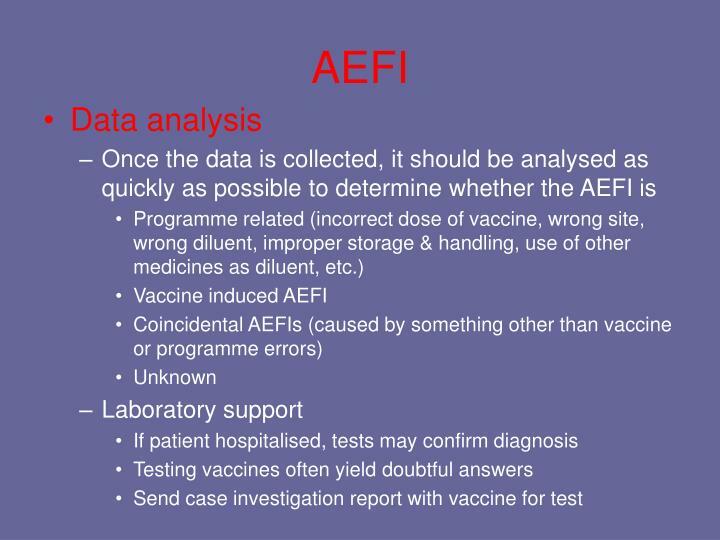 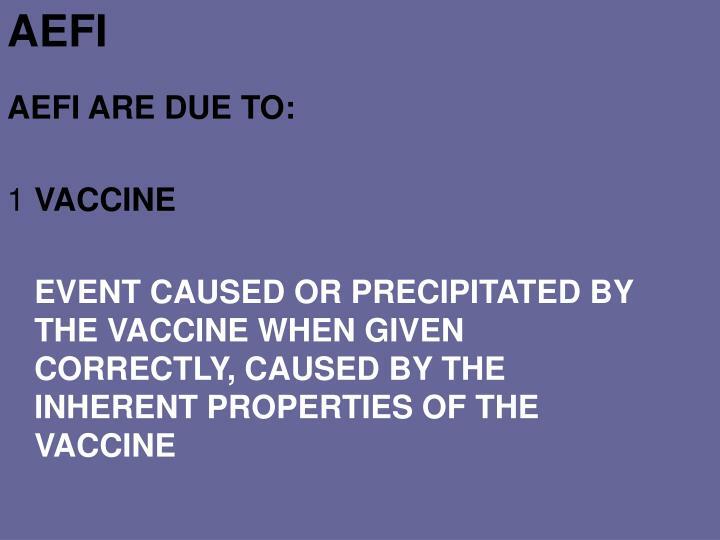 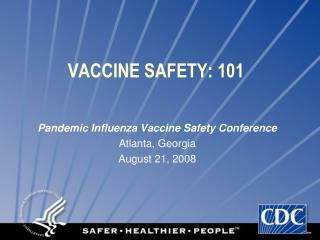 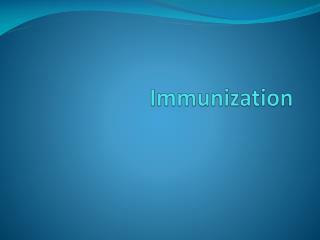 Determine the quality of the vaccine (expiry, storage), reconstitution, diluent, injection process, etc. 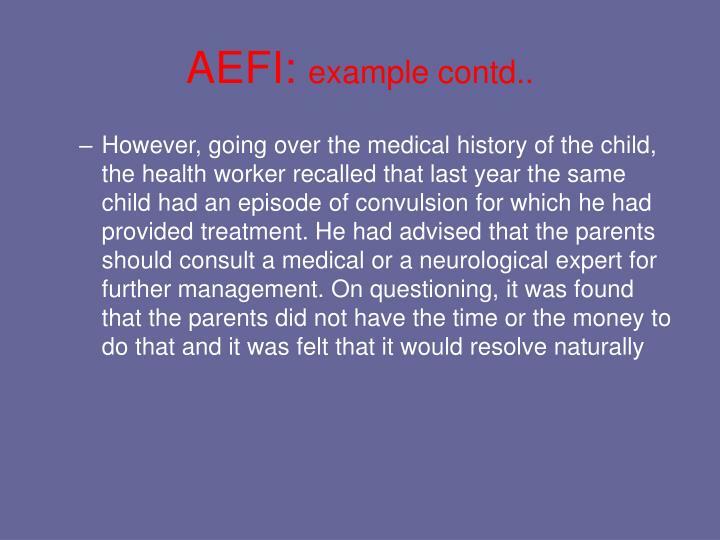 Scrutinise the stock entries, stock balance, etc. 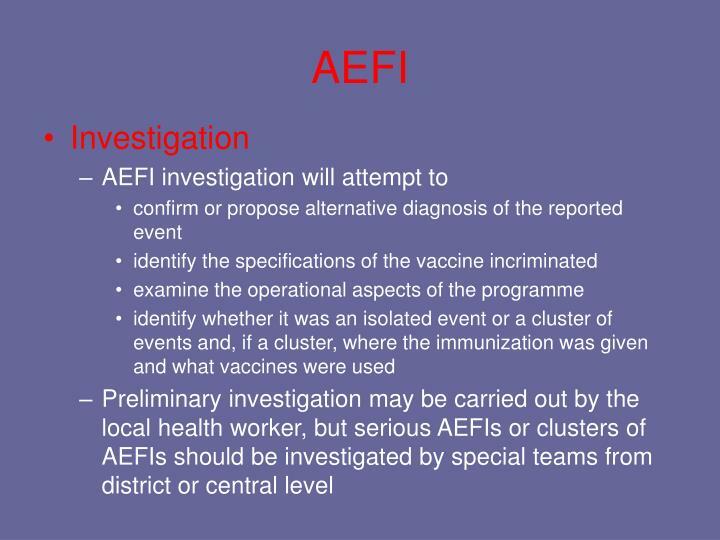 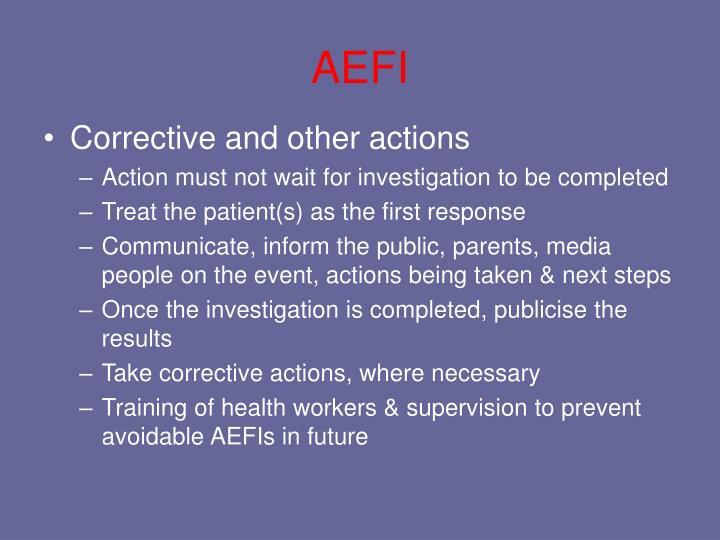 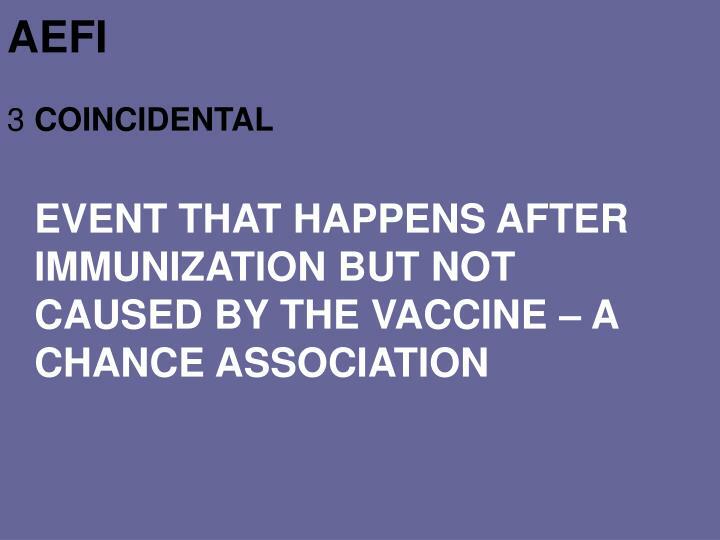 There was no evidence of contamination, the health workers always discarded reconstituted vaccine at the end of the session. 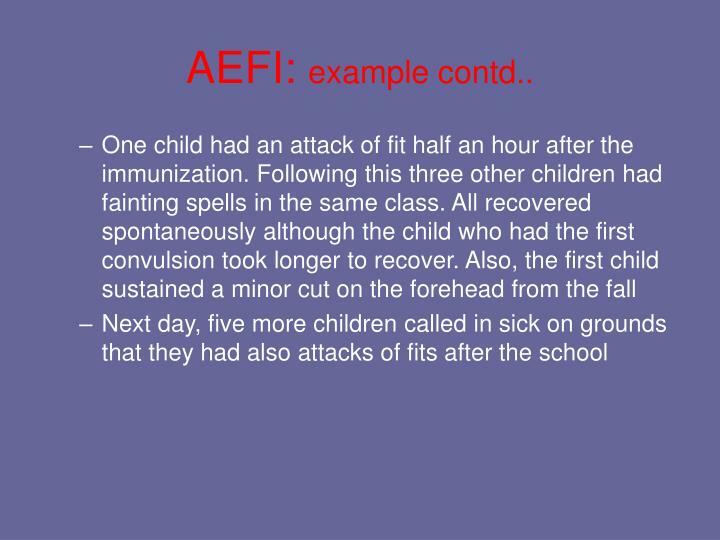 The index child had a true convulsion. 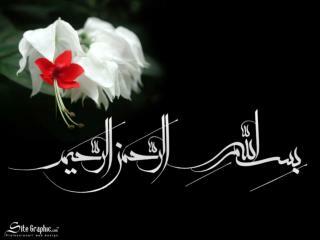 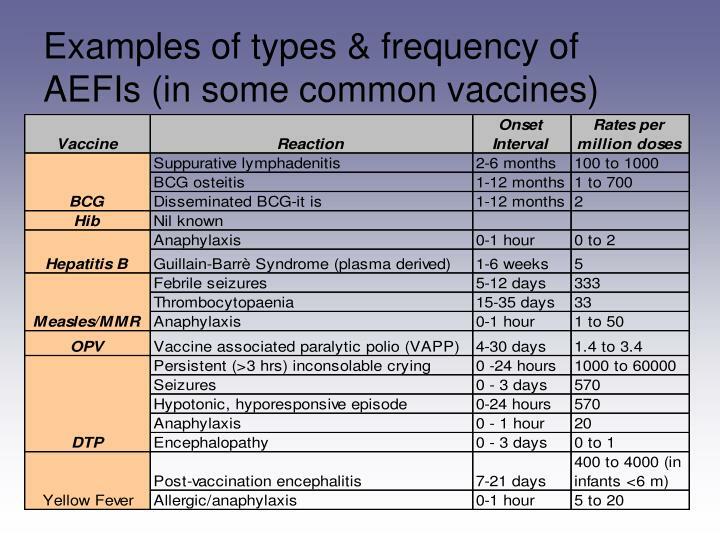 No fever or other illnesses at that time. 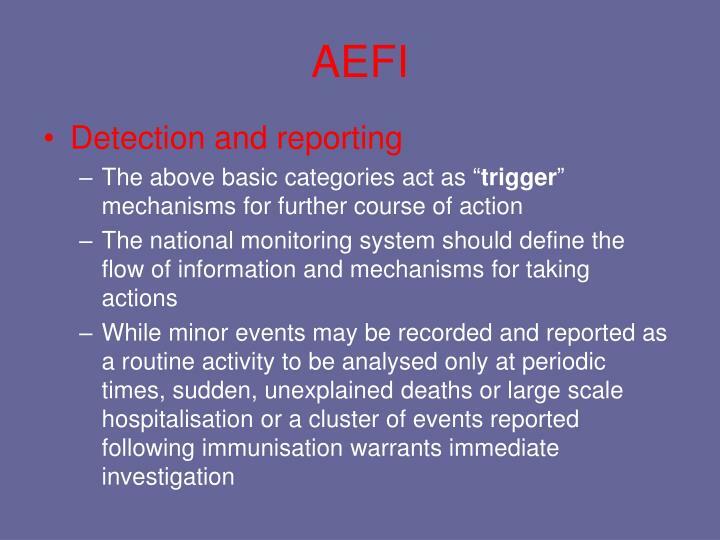 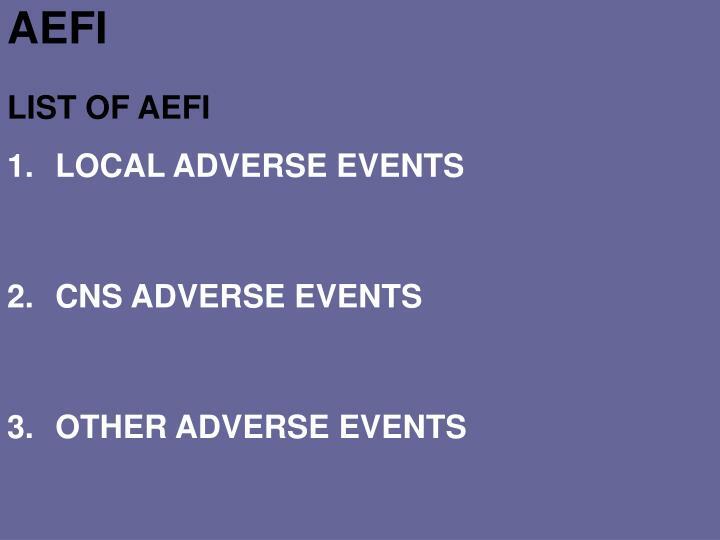 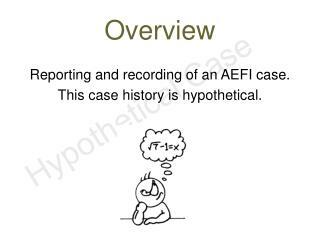 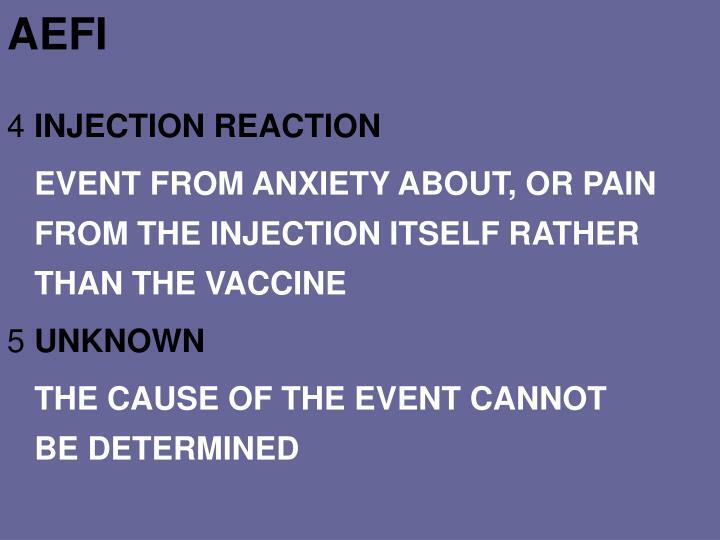 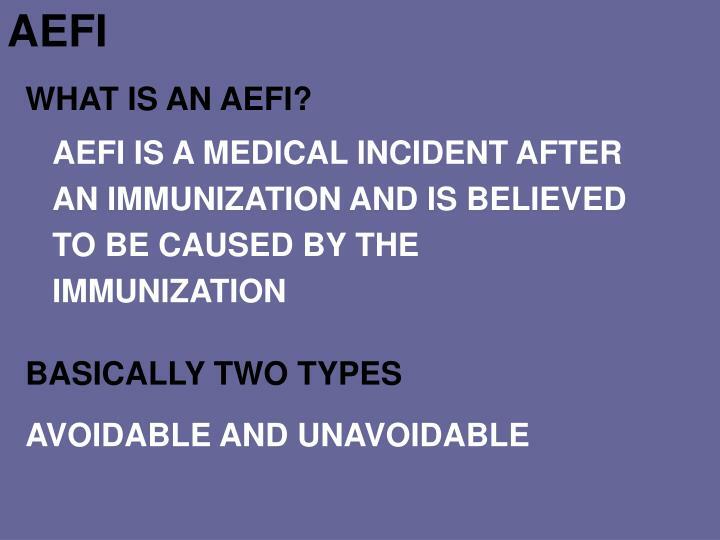 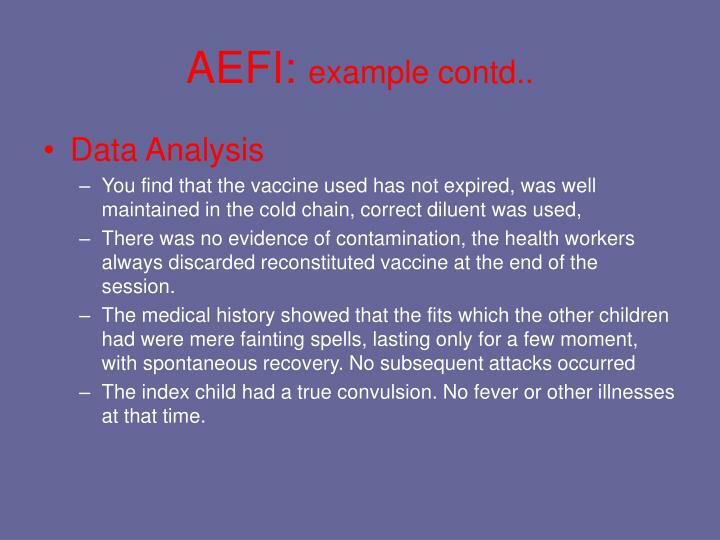 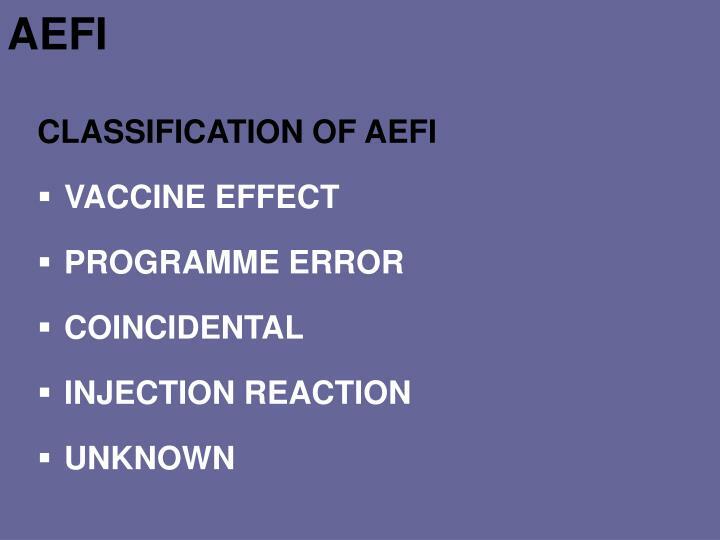 From the available information, and based on the data analysis, you conclude that event was not an AEFI, but Coincidental. 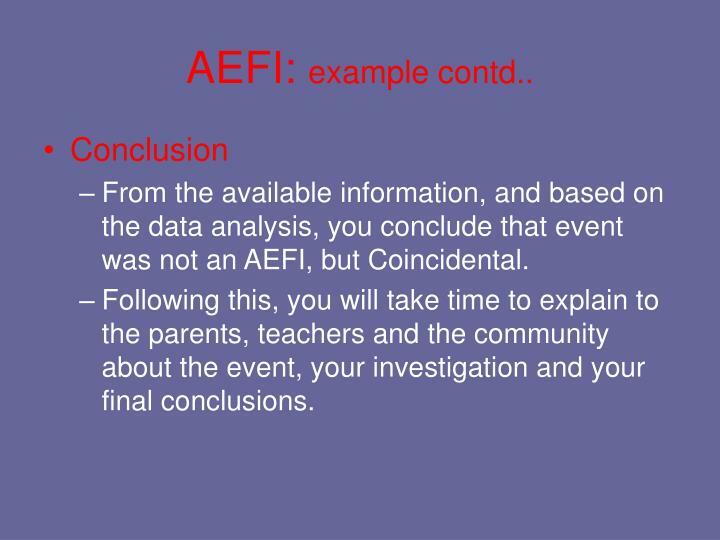 Following this, you will take time to explain to the parents, teachers and the community about the event, your investigation and your final conclusions. 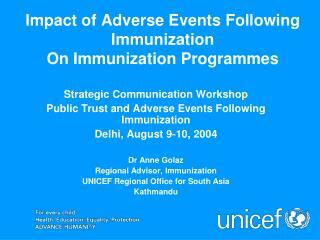 Universal Immunization Programme -. 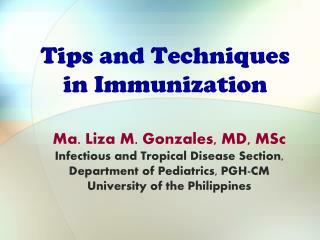 presentation outline. 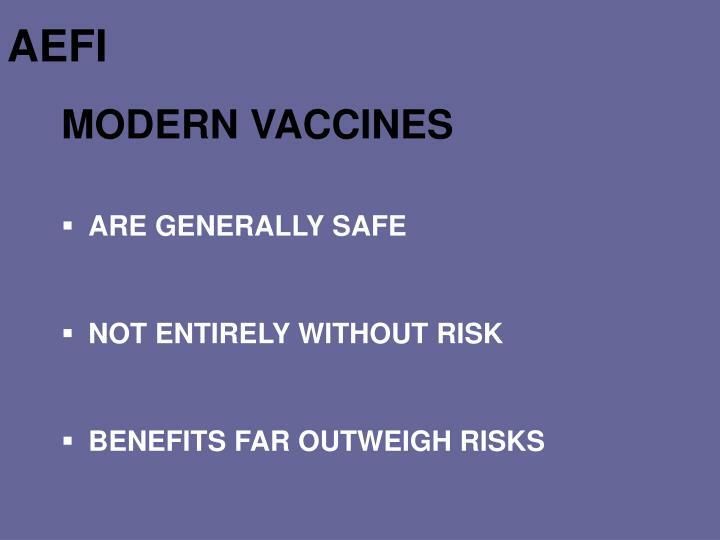 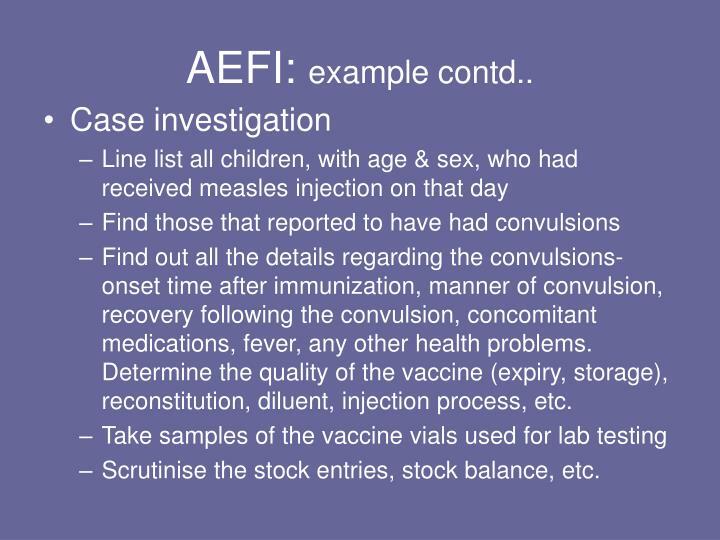 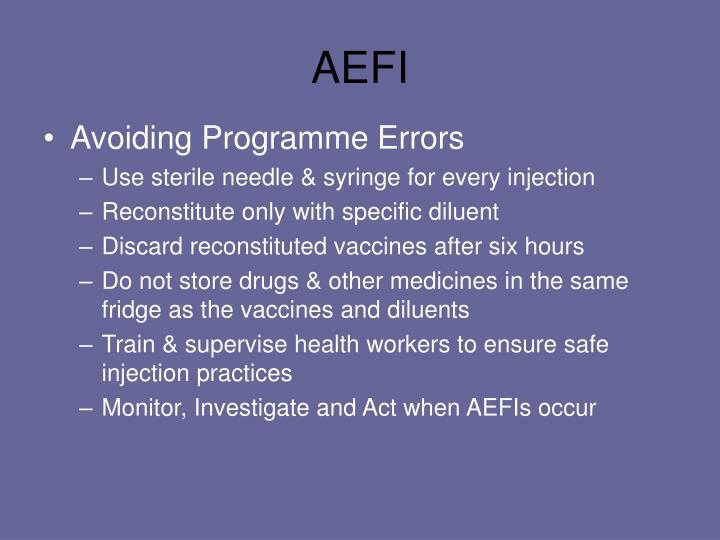 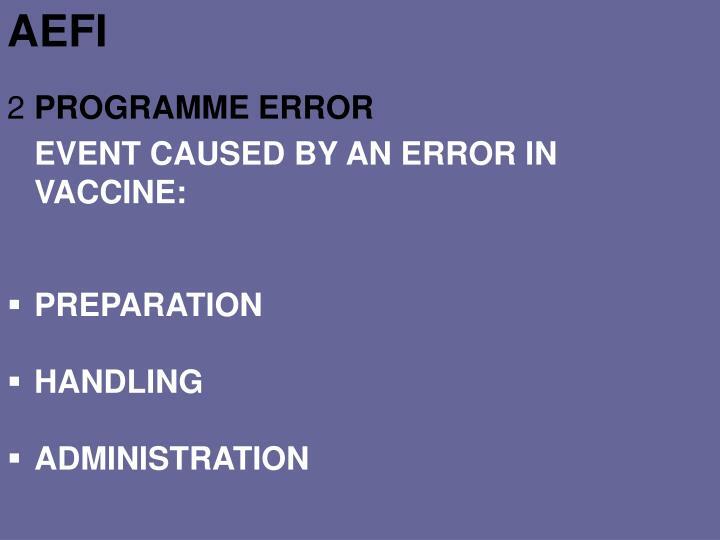 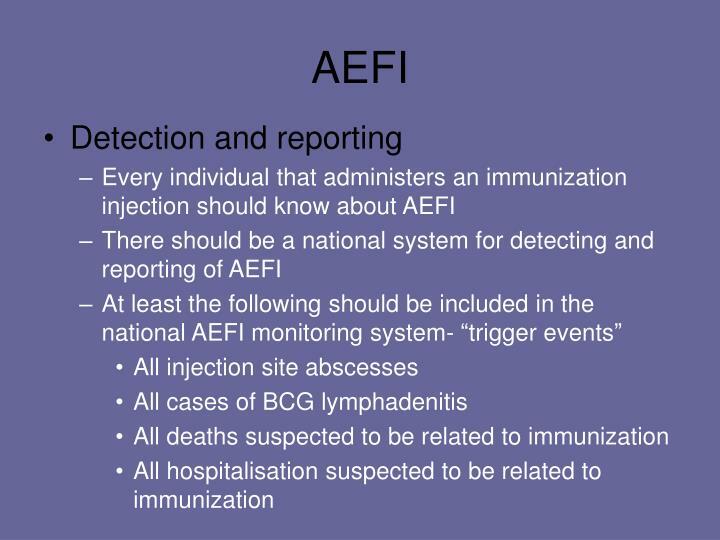 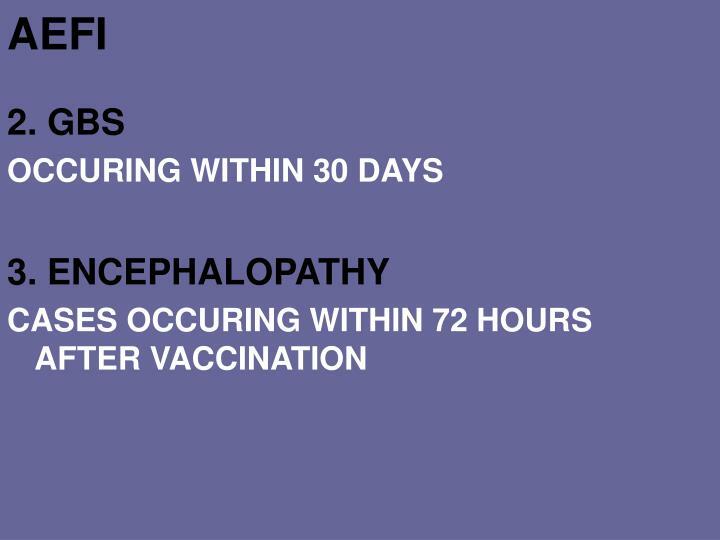 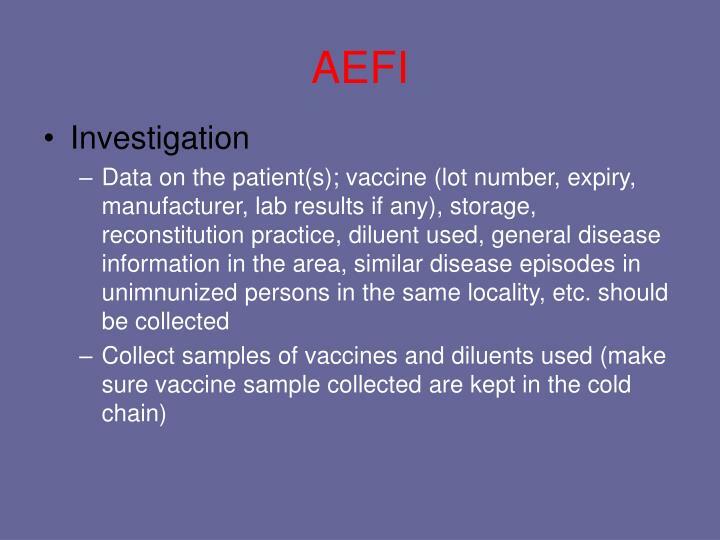 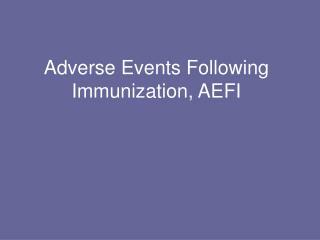 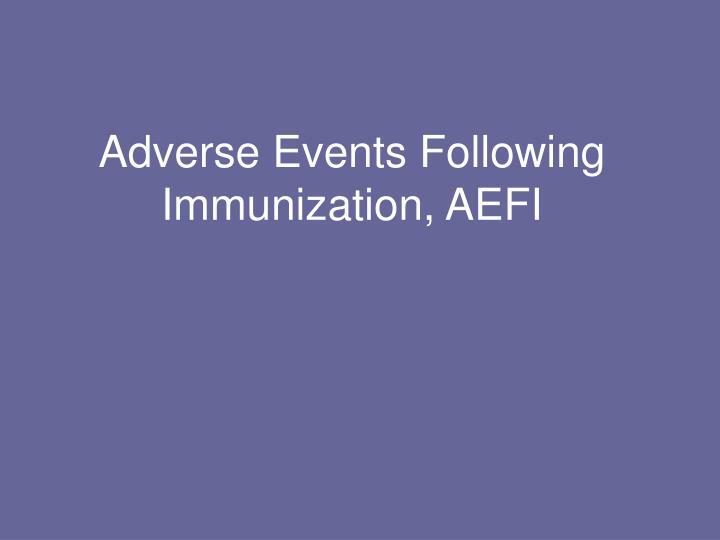 background and overview national immunization schedule (jan. 2011) vaccines and cold chain safe injections, waste disposal aefis desirable vaccines. 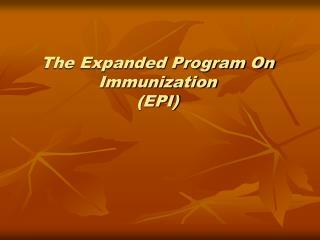 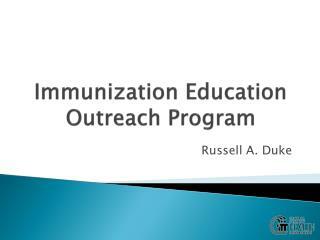 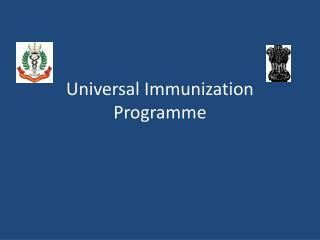 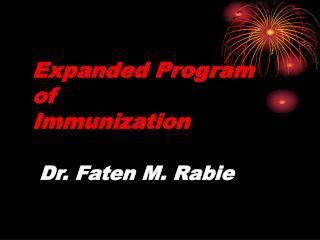 universal immunization programme. 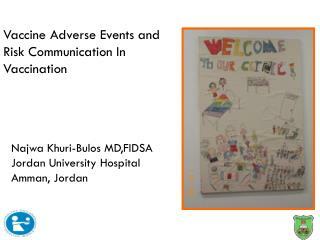 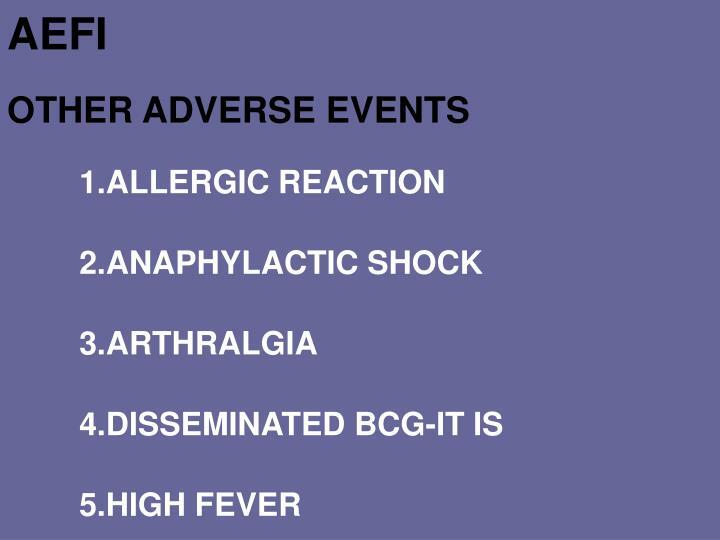 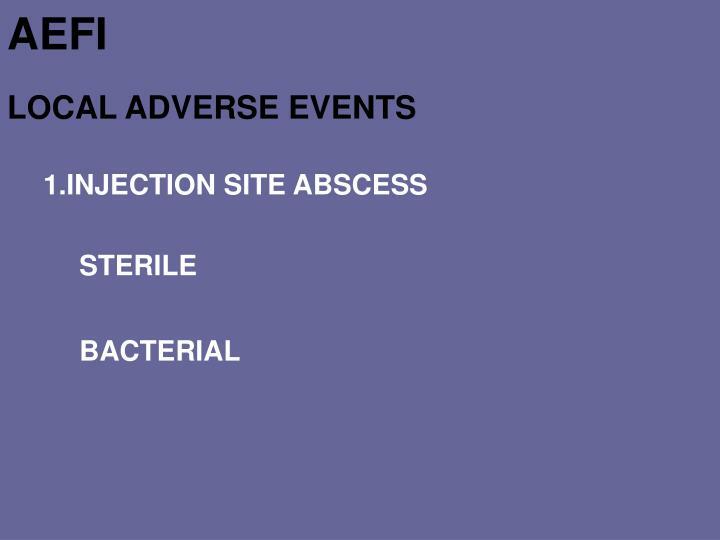 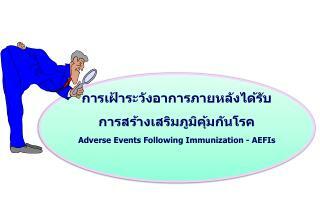 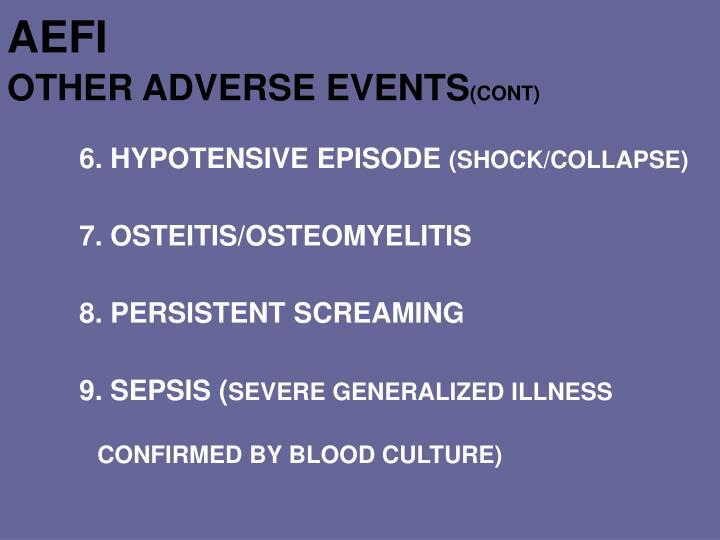 Adverse Drug Events -. 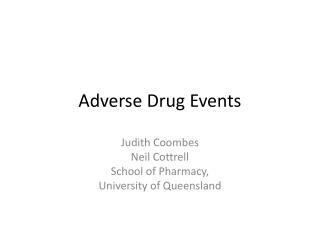 judith coombes neil cottrell school of pharmacy, university of queensland.